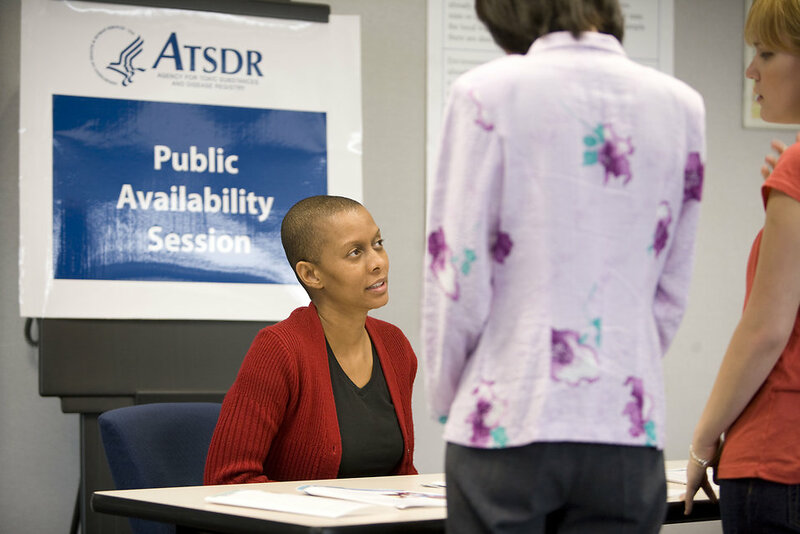 Description: Speaking at a town hall meeting on behalf of the Agency for Toxic Substances and Disease Registry (ATSDR), this African-American woman was in the process of educating attendees. The purpose of these meetings is to collect community concerns, and share health messages about local environmental issues. At this point in the meeting, she was about to address two meeting participants during a breakout question/answer session.